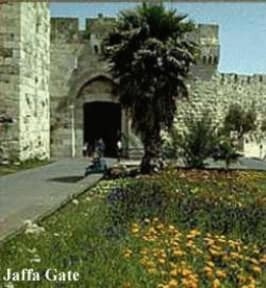 Awesome location inside Old City Jerusalem - 2 minute walk to Jaffa Gate. 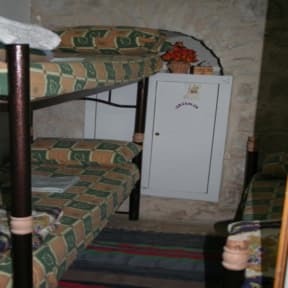 It's exactly what you would expect of a hostel - shared dormitories, some private rooms, communal bathroom and kitchen, lockers for your safe keepings, etc. The staff was friendly and professional. Probably one of the least expensive hostel's in the city. I definitely recommend it for the price you pay, ad especially if you want to be inside the old city. Probably one of the cheapest options in Jerusalem. It's in the old town so don't expect anything modern. It's simple and provides you with the basic needs. The staff were really friendly and helpful. Good location for seeing the main touristy bits, affordable price. A bit over stuffed room. Bathroom is ok, hot water and decent water pressure is available through the day. Cheapest place I could find in Jerusalem. Everything you need is there. Kitchen, WiFi, hot shower and clean bed. Place is a bit claustrophobic, especially toilets & bathroom. Good value for money compared to other hostels. Not sure about this hostel. The room was fine, a bit small but warm and cozy. The toilets were pretty ugly, very small (I'm quite short but couldn't sit straight on the toilet!) Also, there was nobody at the reception until 11 am so we did the check out living the keys somewhere in the room. There are probably better hostel but if last minutes and out of money this hostel could be fine too. Positives: Good location and low cost. Negatives: Please don’t get confused with the “Swedish” in the name. Not a fun/social hostel. Islamic laws are practiced here... for example, can’t use credit card, no alcohol, etc... there are so many different rules posted everyehere... different types of clientele. Staffs are cold and unhelpful. Locker costs extra, toilet-room was so small (under-starecase), almost strained my back. Plus you have to put toilet paper in a basket... stinks. Despite the very central location, absolutely impossible hygine level. Bathrooms are also unusable. Spend a few $ more and stay outside the old town so as to not risk the bed fleas!